Developing the cutting-edge technology that’s required to achieve commercially-viable fusion energy is a massive task. It requires scientific thinking and knowledge, specialist expertise and serious determination. We have these in abundance at Tokamak Energy. We have established a 40-strong team of full-time scientists and engineers that are vastly experienced in the design and development of spherical tokamaks and high temperature superconductors. Led by an experienced management team, they have written over 20 families of patents on the technology alone. Ably supported by a skilled business support team, our scientists and engineers have found the confidence and freedom to successfully explore the development of our own compact, spherical tokamak to the point where we are now mid-way through our exciting journey and continuing to make ground-breaking progress. 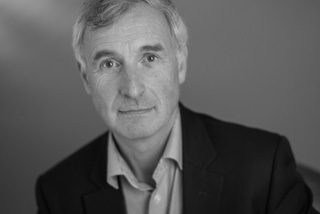 Chris is the Tokamak Energy Chairman and a non-executive director. He is an innovative entrepreneur with considerable international experience successfully growing businesses in the medical technology, energy and environmental sectors. As well as leading our business and being accountable to Tokamak Energy’s shareholders and investors, Chris is also the CEO at Swiss-based ADC Therapeutics which is focused on the development of proprietary Antibody Drug Conjugates for the treatment of both solid and hematalogical cancers. Chris is a Sainsbury Management Fellow and he holds an MBA degree from the International Institute for Management Development (IMD) in Lausanne, Switzerland. He also has a D.Phil. degree in Chemical Engineering from Oxford University. Jonathan joined Tokamak Energy in November 2017 as our Chief Executive Officer. He is also a member of our board of directors. Jonathan is a 1st class graduate in Mechanical Engineering from the University of London and joined us after spending six years at Rolls Royce where he held the positions of Chief Operating Officer (Civil Large Engines) and Executive Vice-President. He is also former Chief Operating Officer at Aston Martin Lagonda and spent more than 20 years at Jaguar Land Rover latterly as a Chief Engineer. Jonathan is an experienced international business leader and brings a unique blend of strategic, financial, technical, operational and brand know-how to Tokamak Energy. His skills in delivering technical and operational excellence, together with his ability to lead our talented team, will help us as we continue to deliver against our target of achieving a faster way to fusion. David is our Executive Vice Chairman and former Chief Executive Officer. He is an integral part of our management team and one of our board members. 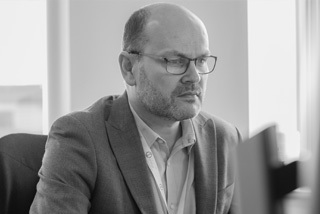 A trained theoretical physicist, he was one of the Founders of the business and became our CEO in 2009 having spent almost two decades as the Managing Director of Oxford Innovation, a company that has supported hundreds of successful new technology ventures. David successfully led Tokamak Energy through three investment rounds and worked with colleagues and investors to mastermind an ambitious, yet achievable, business plan to drive innovation and accelerate the development of our fusion energy mission. David’s ample experience has proved invaluable in growing and directing the business. He is a former Chairman of the R&D Society and has been a director at various high technology and knowledge-based start-ups. He has also won and delivered major contracts aimed at supporting innovation, entrepreneurship and business growth at regional and international levels. Mikhail is a founder of Tokamak Energy, the Chief Scientist and a member of our executive board. He is a leading global authority on tokamaks and has performed experiments on 16 different tokamak during his distinguished career. 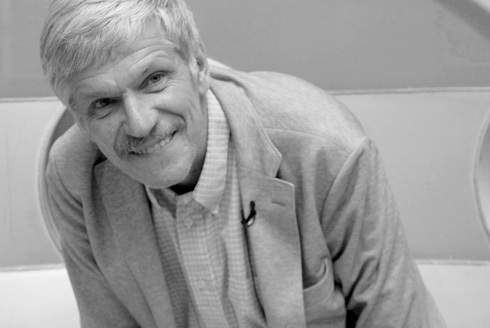 After graduating with an Honours Diploma in Plasma Physics from the Leningrad University in his homeland, Mikhail earned a PhD in Plasma Physics and Nuclear Fusion from the USSR Academy of Science. 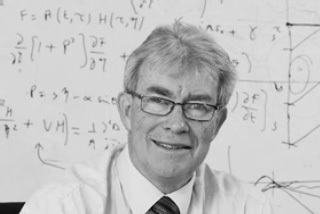 In 1990, he joined the Culham Laboratory in Abingdon and has been responsible for leading experimental programmes, preparing and performing experiments, designing, constructing and operating tokamak systems and diagnostics, as well as supervising students and scientific and engineering personnel. Mikhail is a Visiting Professor at Imperial College in London and an editorial board member for the Plasma Science & Technology Journal and the Open Plasma Physics Journal. He regularly lectures about the physics behind spherical tokamaks at universities and plasma physics schools across the world. 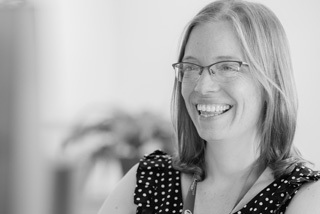 Rachel is Tokamak Energy’s Financial Controller. She is a chartered accountant with more than 10 years’ experience in financial strategy, financial management and reporting, audit, accountancy and tax. As a dedicated and thorough FC, she ensures that shareholders will receive the best return on investment possible, that shareholder assets are protected and cash is effectively managed to enable the achievement of technological milestones. Rachel has successfully strengthened internal controls, introduced new financial systems and supported our CEO during several investment rounds, as well as supported project managers with both short- and long-term financial planning. Ross joined Tokamak Energy in 2016 and is responsible for directing the company’s overall commercial and intellectual property strategy. He has more than 20 years’ experience in developing and commercialising new technologies. 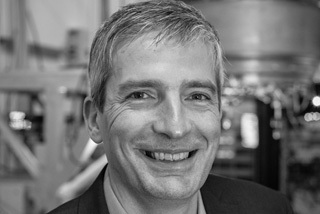 With a BSC(Hons) in Chemistry and PhD in Physical Chemistry from the University of Bristol, Ross started working on plasma systems at Culham in 1996. Since then, he has held numerous general and commercial management roles at AEA Technology, Accentus plc and CompactGTL Ltd. His achievements have included establishing and managing pilot plant operations and putting in place key strategic relationships with major industrial players within the automotive, energy and oil and gas industries. In his most recent role at CompactGTL, a privately funded start-up operating in the oil and gas sector, Ross was responsible for the development and implementation of the company’s intellectual property strategy as well as negotiating multi-million dollar agreements with customers, partners and suppliers in Europe, North and South America and Asia. 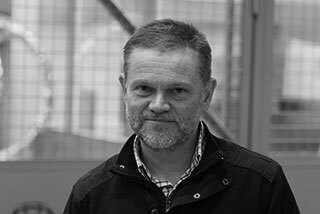 Rob Slade is a Physics graduate with 33 years of experience in the industrial application of electromagnetic technology at the system level. Rob joined us in April 2016 having worked at Rolls Royce, Oxford Instruments & Siemens in a variety of engineering and management roles. More recently, at Robinson Research in New Zealand, he developed novel MRI systems using HTS technology. Rob has developed considerable experience in balancing technical risk against the need to make rapid progress in a cost-effective way during his career, and has developed several commercial products in diverse fields from medical healthcare to down-hole oil-field instrumentation. He is a named inventor in over 30 patent families, and has had a life long interest in breakthrough technologies. Lord Hunt, Chairman of the Tokamak Energy Advisory Board, is a highly-decorated academic and a Fellow of the Royal Society. He is Emeritus Professor of Climate Modelling in the Department of Earth Sciences and Honorary Professor of Mathematics at University College London. Lord Hunt has been awarded honorary degrees from the universities of Salford, Bath, East Anglia, Warwick, Grenoble, and Uppsala. In 2001, he was awarded the L.F. Richardson medal for non-linear geophysics by the European Geophysical Society. In his scientific research, Lord Hunt has developed new approaches to modelling turbulence, atmospheric flows around buildings and over mountains, and the dispersion of environmental pollution. Jack is a recognised expert in the field of plasma instabilities. He was educated in Cheshire and went on to attain a first-class honours degree in Mathematical Physics at the University of Birmingham, followed by a PhD in Elementary Particle Physics at the same establishment. In 1967, he joined UKAEA’s Culham Laboratory where he worked as a research scientist on plasma theory. 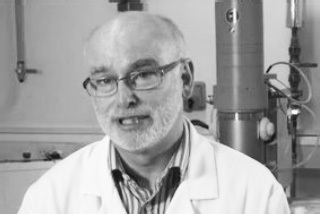 Jack retired from Culham in 2007, but continued working at the lab as a consultant. He was appointed as a Visiting Professor to Imperial College in 2007 and elected as a Fellow of the Royal Society in 2010. He was also made a member of the Tokamak Energy (then Tokamak Solutions) Advisory Panel in the same year. 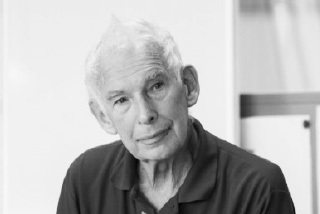 Jack has won numerous awards during his career and his research contributions have included seminal papers on many scientific theories at the heart of fusion power: bootstrap current; invariance principles; energy confinement scaling laws; impurity transport; ballooning theory; and micro-stability of toroidal systems. He is also an editorial board member for several scientific journals. Bill is a materials expert who studies the relationship between processing, properties ad microstructures in a broad range of ceramics. 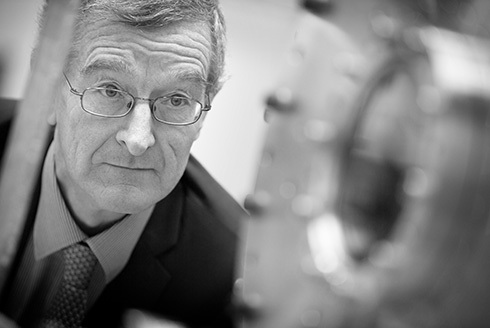 He is Chair in Ceramic Science and Engineering at Imperial College London and sits on various boards and committees at the forefront of research into the use of materials in industry, particularly in extreme environments. Bill has previously held positions at Imperial College London as Head of the Department of Materials and Director of the Centre for Advanced Structural Ceramics (CASC). He has also been the Manager of the Sorby Centre for Electron Microscopy at Sheffield University, Director of the BNFL University Research Alliance and the Immobilisation Science Laboratory. Bill has supervised 59 students to completion of their PhDs. He has also authored four books and has published more than 350 peer-reviewed papers and eight book chapters. 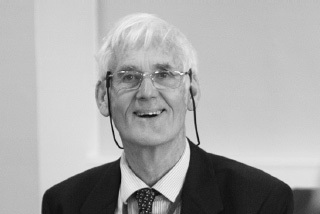 George is an Emeritus Professor of Materials at Oxford University, where he specialises in the study of the microstructure, composition and properties of engineering materials at the atomic level. George has published extensively on the subjects of phase transformations and phase stability in metals and alloys. He has particular interests in the long-term safety and stability of the engineering materials used in current-generation nuclear reactors, and those planned for use in future fusion energy production systems. 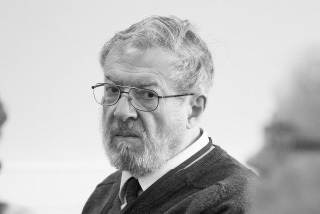 George led the Oxford research group that developed novel atom probe techniques for the direct observation of solid materials in three dimensions on the atomic scale. For this work, he was awarded the Beilby Medal and Prize (1985), the Rosenhain Medal (1991) the Acta Materialia Gold Medal (2005), and the Institute of Materials Platinum Medal (2006). He has written more than 350 scientific papers. Colin is an expert in neutronics whose outstanding experimental and modelling skills have led the way to powerful industrial applications of neutrons and of neutral nets. For this work he was awarded the Duddell Medal by the Institute of Physics in 1986 and Fellowship of the Royal Society in 1995. A fellow in Physics at Magdelen College in Oxford, Colin spent a postdoc year at Yale before arriving at Harwell Campus during what he describes as the “golden years” of research at the science, innovation and technology hub. He worked on large Toshiba and CEGB research projects that investigated the microstructure and residual stress of irradiated pressure vessel steels, as well as the Esprit II project – ANNIE (Applications of Neutral Nets to Industry in Europe) on which he undertook the role of chairman for the Image Analysis group. A short time later, Colin joined Culham Laboratory and to work on JET, the most powerful tokamak ever built and the device that generated 16MW of fusion power in 1997. As Programme Area Manager for neutron diagnostic studies and Special Studies research, Colin’s work lead to a successful modelling of the JET plasma directly from the measured neutrons. Melanie is Communications Consultant at Tokamak Energy. She is a physicist and communicator with expertise in energy and new technology. 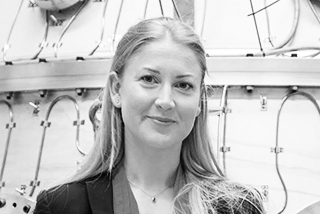 She has a PhD in Plasma Physics from Imperial College London during which time she worked on vertical stability in the MAST tokamak at Culham Centre for Fusion Energy. Melanie’s communication work is wide-ranging and she regularly engages with the media, SMEs, education institutions and the general public to talk about science and the role it can play in shaping the world in the future. She is an ambassador for the government-led ‘Your Life’ campaign encouraging more students into science and maths careers. Melanie is the author of an introductory book on fusion energy, entitled ‘Star Chambers: the race for fusion power’, and of the narrative popular science book ‘Aurora: In Search of the Northern Lights’, for which she was awarded the institute of Physics Rutherford Plasma Physics Communications Prize 2017.